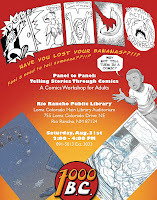 Comics and graphic novels continue to rise in popularity and sophistication. They frequently garner esteemed literary prizes and comics increasingly appear in respected fine arts galleries and museums. Not to mention they can be just plain fun! 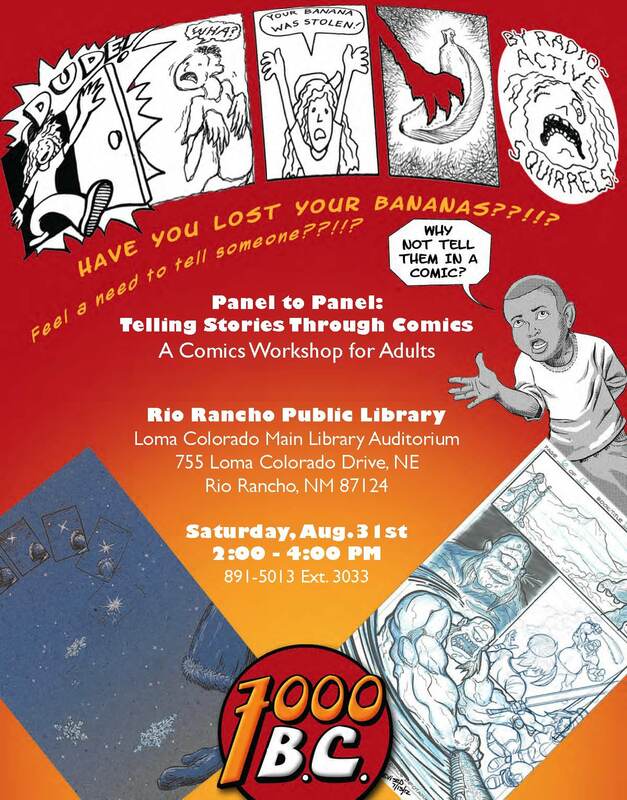 Join comics creators from 7000 BC, and put pen to paper as we explore how stories are told using the comics medium in this informative and enjoyable hands-on comics-creating workshop. The emphasis is on storytelling, not draftsmanship, so even if you only draw stick figures, you can create a compelling comic. Begin work on your Pulitzer or become a kid again for a day! For a map, please click here .